The Yumthang lies at a distance of about 24 kms from Lachung which is 105 kms away from Gangtok the state capital city. The Gangtok lies at distance of 124 kms from Bagdogra Airport near to Siliguri or about the same distance of nearest main railway station of New Jalpaiguri. 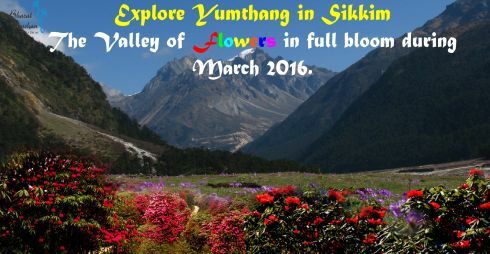 For visiting Yumthang one has to get the permission being sensitive area due to China border proximity. As you begins your journey on the hilly road, among lush green mountains, with milky mountain brooks occasionally streaming down the slopes. The journey is quite pleasant, apart from sitting immobile in the Sumo. Best way to cover and enjoy the beauty is to break the journey. You come across the beautiful flower white Dendrobium orchid that you had been looking at throughout the journey, hanging from various trees. Also see beautiful pendulous shrub with scarlet tubular flower, which is called the Sikkim Blushwort. Meet & Greet on arrival at IXB Airport & transfer to Gangtok (5,500 ft.). On arrival Check-in to hotel. Overnight stay at Gangtok. After breakfast Check-out from hotel and transfer to IXB Airport. Rs. 19,500.00 per Person on twin sharing basis. NOTE: The above mentioned hotels will be confirmed as per the room availability. Vehicle: 01 Non AC Indica / WagonR for Pick Up, Gangtok City Tour & Drop & Rest of the Services (Tsomgo Lake & Lachung) by 01 Non Ac Tata Sumo / Mahindra Maxx as per itinerary only. Meal Plan: MAP at Gangtok & AP at Lachung (No En route Meals). Note: Any cost arising due to natural calamities like, landslides, road blockage, political disturbances, etc. (to be borne by the client, which is directly payable on the spot). · Exclusive Non a/c vehicle for transfers & sightseeing. Please brief to guest that vehicle will not be at disposal it will be available to guest as per itinerary only (point to point basis). 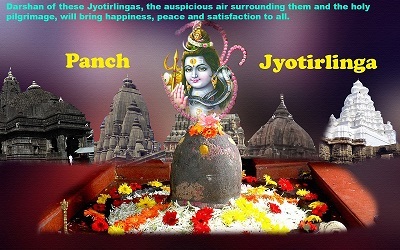 · Personal Expenses such as Laundry, telephone calls, tips & gratuity, mineral water, soft & hard drinks, rafting, rock climbing, paragliding, joy ride (Toy Train), porterage. · Any cost arising due to natural calamities like, landslides, road blockage, political disturbances (strikes), etc (to be borne by the client, should be is directly payable on the spot). LACHUNG: A beautiful village in northern district of Sikkim where accommodation are provided to the visitors. It falls under restricted and protected area at the height of 8800ft. YUMTHANG VALLEY: Drive to Yumthang valley from Lachung will take one hour 24 kms.at the height of 12000ft. It’s a valley of flowers and paradise for nature lovers surrounded by spectacular White Mountains. YUMESAMDONG (ZERO POINT): Yumesamdong is another 19 kms. From Yumthang valley, it’s a beautiful valley and one of the heavy snow fall point. Usually visitors take short drive to Yumesamdong to play with snow if after Yumthang valley. BEST TIME TO VISIT NORTH SIKKIM: April to first week of June. January to March: Tour white snow covered Lachung and Yumthang valley.